Sideswipe accidents often occur when a driver is being negligent and veers into the lane of another driver. The Illinois Department of Transportation reports that there are over thirty thousand sideswipe accidents each year in Illinois. Although sideswipes are common, drivers and their passengers can suffer severe injuries. Oftentimes, the at-fault driver claims that the other driver was responsible for the accident and the insurance company can be a nightmare to deal with. At the Law Office of Adrian Murati, our Rockford personal injury firm stands up for individuals injured in sideswipe accidents. If you or a loved one have been injured in a sideswipe crash, then we can help you deal with the insurance company so you can get your car fixed, your medical bills paid, and lost wages for anytime you missed at work while recovering. Call us at (815) 289-3209 to discuss your case with a Rockford car accident attorney. Talking on the phone or texting. Talking with passengers in the car or checking on kids in the back seat. Drunk driving or driving under the influence of drugs. Aggressive driving with improper or frequent lane changes. Failing to check “blind spots” before changing lanes. Loss of control on wet or icy roadways. Swerving to avoid objects on the road like roadkill. Difficulty seeing lane markers during foggy weather or bad storms. Improperly trying to merge into a lane, such as when getting on the highway. No matter what type of negligence caused your sideswipe accident, you can rest assured knowing that the Law Office of Adrian Murati will stand up for your rights and fight to hold the at-fault driver accountable. Injuries in sideswipe collisions can be serious because cars are not designed to give drivers the most protection against impacts from the side. For example, in a head-on or rear-end crash the bumper can absorb the force of an impact. On the other hand, in a sideswipe accident there is not much space between the side of the car where the impact occurs and the passengers inside. Additionally, sideswipe crashes often cause drivers to lose control of their vehicle which results in a second collision with another vehicle, a guardrail, trees, light posts, concrete barriers, or signs along the road. The insurance company may claim that your injuries aren’t that serious because impact forces are low since the vehicles were traveling in the same direction. Fault can be hard to prove in a sideswipe accident. While you may know that the other driver was responsible for the car accident, the other driver might point the finger back at you and blame you for the crash. You might get a call or letter from the at-fault driver’s insurance company informing you that based on their investigation (aka the lies the other driver fed them) they determined you were at fault and are denying the claim. The at-fault driver’s insurance company may even advise the other driver to bring a lawsuit against you. 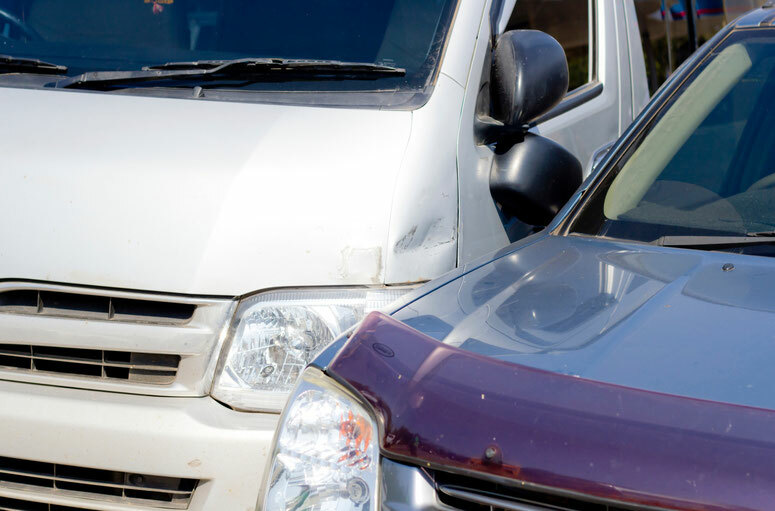 While sideswipe accidents may seem straightforward at first, complications often make this type of case challenging to handle without the assistance of a personal injury attorney. When you hire the Law Office of Adrian Murati, you will have peace-of-mind knowing that I will advocate to have the at-fault driver’s insurance company pay for the damage to your vehicle, medical bills, and for any time you missed at work. Call us at (815) 289-3209 for a free consultation with a Rockford personal injury lawyer.